← Can Eating Fewer Calories Extend Your Life? All true. But much easier said than done! How can you transition from a “diet” to a “way of eating?” Here are five tips to help you on this path. The idea of carb reduction is that eventually, you will figure out what carb level keeps you at your best—high energy, low hunger, lowest sustainable weight, and stable blood glucose. Ideally, the amount of carbohydrate you eat will be low enough not to be flirting with the side effects of high-carb eating too often, but this is different for every person. If you were allergic to wheat, you would learn to get along without it. In restaurants, you would get used to ignoring the bread basket, asking for no croutons, not ordering pasta, etc. Sure, it would be hard at first, but eventually, it would just be “the way you eat.” You would know that this is just the way your body is. There are many medical conditions that force people to adjust their way of eating—permanently. Some people are more likely to be on the road to diabetes, if you aren’t already there. If you have insulin resistance, you could have blood glucose that isn’t stable, that jumps around, causing you to feel less than your best. There is no doubt that this is a bummer. It is no fun to find out that your body needs extra attention to be at its best. The positive side is that once you accept that your body has “special needs,” you can do something about it—something that costs very little money, doesn’t involve surgery or medication, and has no painful procedures involved. If eating low carb seems austere to you, it’s time to go about finding low-carb, healthy substitutes for at least some of your favorite foods. Simple rules can speed our way to developing a new eating identity. Here are some ideas for low-carb food rules, or make your own. If your idea of cooking is “slaving in front of a stove,” let’s change that right now. So many delicious, healthy meals can be made in minutes if you have a few easy-to-learn cooking skills. Any chef will tell you that simple is often best. Learn how to make one food you really like, and get good at it. Then, add another, and another. Amaze your friends! Cooking can actually be a relaxing, creative activity if you get into the mood. This may be the most important of all. When low carb becomes “just the way you eat,” any particular high carb food which you may choose to eat from time to time is still within the context of a low carb way of eating. For example, most of the time, I eat delicious low carb foods. I use vegetables instead of pasta. I bake with nut flours and flax seed meal. I focus on protein and vegetables in my meals, whether at home or out. But when I go out for sushi with a group of friends, I’ll have some, and I’m not going to pick all the rice out of the rolls (it’s easy enough to lift the fish off the rice with nigiri, though). If my husband and I go out for a special meal and there’s creme brulee on the menu, I’ll have some if I’m not too full. Does this mean I’m “off the wagon” or “cheating”? No! Low carb is still, after all these years, “just the way I eat.” But there has to be room for flexibility in any diet. Life takes us in many directions, and food is an important part of life. Of course, it’s possible to get too flexible—then, we will find ourselves with carb cravings, weight gain, or “carb hangovers.” When this happens, there’s no need for hysterics, self-blame, or criticism. We’ve just wandered off exploring a side path, and we need to wander right back!. But that needn’t be a struggle— after all, we now know what way of eating is best for us, and there are lots of people to help us get over the inevitable bumps in the road. There are two books. “How Bad Do You Want To Lose Weight?” is available at all the online bookstores selling for $1.99. Go to any of the websites below and search the title to find my Ebook. 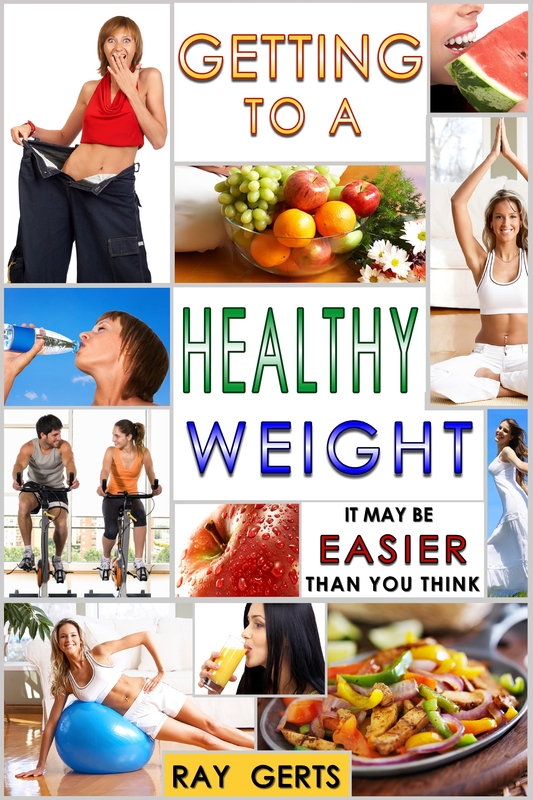 This book gives you all you need to lose weight without spending money on gym memberships, diet plans or meal plans. Look for my book. at Amazon.com, B&N.com, iBooks, Kobo.com, Scribd.com, or Gardner Books in the U.K.